From the Eagle Trailhead runners can easily access the Sage Trail for additional miles. With minimal elevation gain and well groomed paths throughout, the reservoir poses minimal technical challenge. The trail and road are well maintained, making the circuit available year round, though the reservoir is much livelier during the summer months. Dogs are not allowed in the park May 15 through Labor Day. 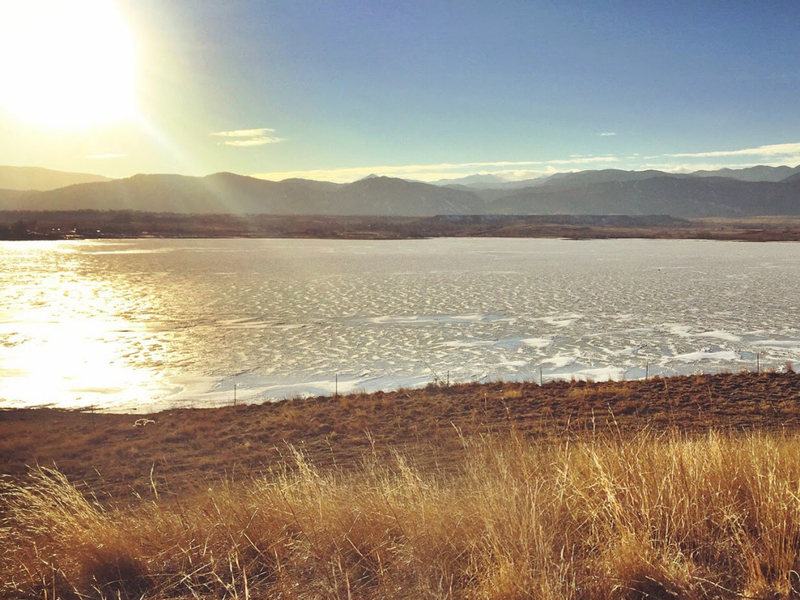 Boulder Reservoir is a loop trail of 5.3 miles covering two levees, dirt trails, and part of 55th street. The reservoir is also popular with afternoon walkers and hikers with leashed dogs in the off season. You can begin your run from either the 55th street Boulder Reservoir Trailhead or from the Eagle Trailhead. Both will help you avoid having to pay to park inside the reservoir grounds. The Boulder Reservoir Trail will take you halfway around the reservoir, dropping you onto the dirt of 55th street which you can use to complete the circuit. The trail around the reservoir has no cover, making it a trail to avoid on blistering summer days or notoriously windy winter afternoons. The circuit around the reservoir offers some of the most breathtaking views of the Flatirons that Boulder has to offer. 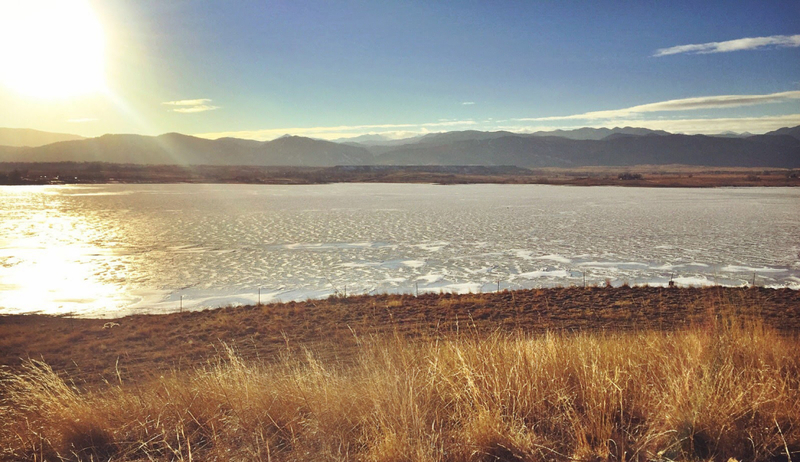 Unlike many of the other Trails in Boulder, the Boulder Reservoir is positioned about a mile away from the Flatirons, instead of in the mountains themselves. This means the route has minimal elevation gain, making it a great place for fast workouts and easy recovery days alike. In the summer, the reservoir is bustling with activity, from boaters to kite surfers, making it an ideal place to people watch as you run. You can also reward yourself with a quick dip in the reservoir after your run or you can do your post-run stretching on the beautiful beach. Though dogs are not permitted within park grounds from May 15- Labor Day, you can bring your dog with you in the off season. The Reservoir loop is not quite a full fledged trail run, but also not quite a road run, making it a unique circuit for runners from either camp. Trail runners looking for a relatively flat, open space to grind out an interval or threshold workout will love Boulder Reservoir. Likewise, road runners looking to get off the asphalt onto softer, but still well-groomed dirt paths will find Boulder Reservoir a welcome change of pace. Parking in the north is at the Boulder Reservoir Trailhead on 55th street, 0.5 miles off Monarch Road. The relatively small trailhead is well marked on the south side of the road and accommodates 10 vehicles. Parking is also available at the Eagle Trailhead, 0.8 miles from the main entrance to the reservoir at Reservoir Road. Parking here also allows access to the sage trail if you are looking to add some mileage to your loop. Written by Matt Wesson for RootsRated.